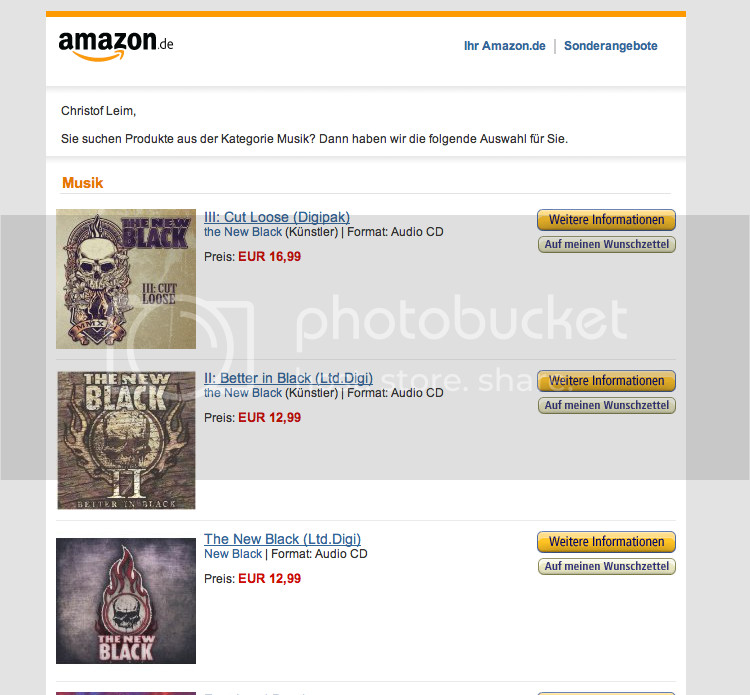 it is actually pretty funny to receive an e-mail from Amazon promoting your own band. Maybe it only shows how many times we clicked on our own articles there and they took notes, haha. Of course we are glad that they are selling our CDs. So click away and buys loads of them, so we can finally afford an unhealthy lifestyle. And we have fancy shirts as well, plus we're shipping worldwide. That's pretty cool, too, isn't it? To the TNB store here. Our very own "mayor rager on the four-string mutherfocker", the mighty Günt, is featured in UK's Bass Guitar Magazine. That's a lot of philosophy for a bass player, actually... Enjoy! Evil hackers had hijacked our old website not one, not two, but three times. Why us? Because we look so good? Rival bands? The illuminati (as Fabs would point out)? Or maybe, er, because we didn't keep the server up to date because we were busy, cough, cough, too busy rockin' elsewhere... Well, the world will never know. Hopefully. BUT now this thing should be tighter. And it looks great, doesn't it? "III: Cut Loose" has arrived! Yeah! We are happy the thing is finally out there for you to listen. Have fun! What's really cool: "III: Cut Loose" shot straight to #1 of the Amazon Download Charts for Hard Rock & Heavy Metal in Germany. We're still busy sending screenshots to our moms! It does look a little different, indeed: We have released another video, this time for ‘Sharkpool’, and it shows us going up against sharks, mermaids, seabed beer drinking and chess-playing crabs. All underwater. What an adventure! Yes, we actually look like that sometimes... And all hail Fludid, who once more made this! „III: Cut Loose“ was also named „Metal Hammer Album of the Week“ at Bild, Germany‘s biggest newspaper. The article can be seen online and features model Cindy Wenk, „Bild Girl 2013“, who played the lead role in The New Black latest video ‘Count Me In‘. This song is also available as a free download. Next up: The Rock‘n‘Roll Overdose tour all over Germany in April! See ya out there! And thanks for listening!